The break statement in C++ is used to terminate loops and switch statement immediately when it appears. We sometimes want to terminate the loop immediately without checking the condition expression of loop. 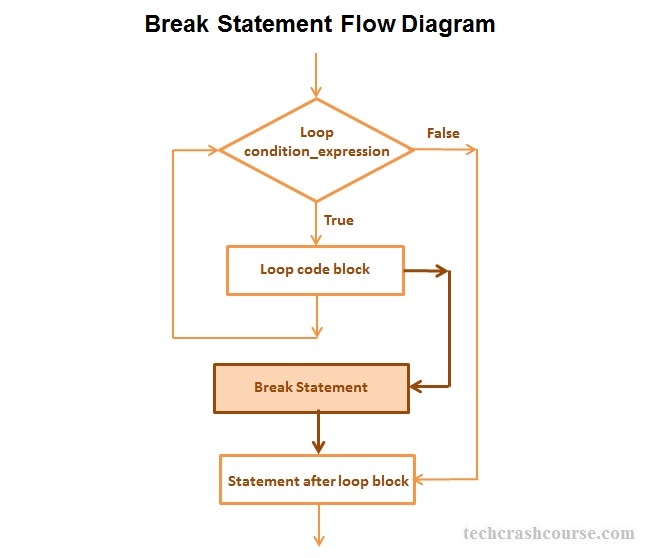 Most of the time, break statement is used with conditional statement inside body of the loop. It can be used to end an infinite loop. If we are using break statement inside nested loop, then it will only terminate the inner loop from where break is executed.